Country and language from the language information in your browser. Name and email address from your organization's user directory. You can update your profile information on CrowdID, as described below. Choose a profile for a website. Set a profile as default. 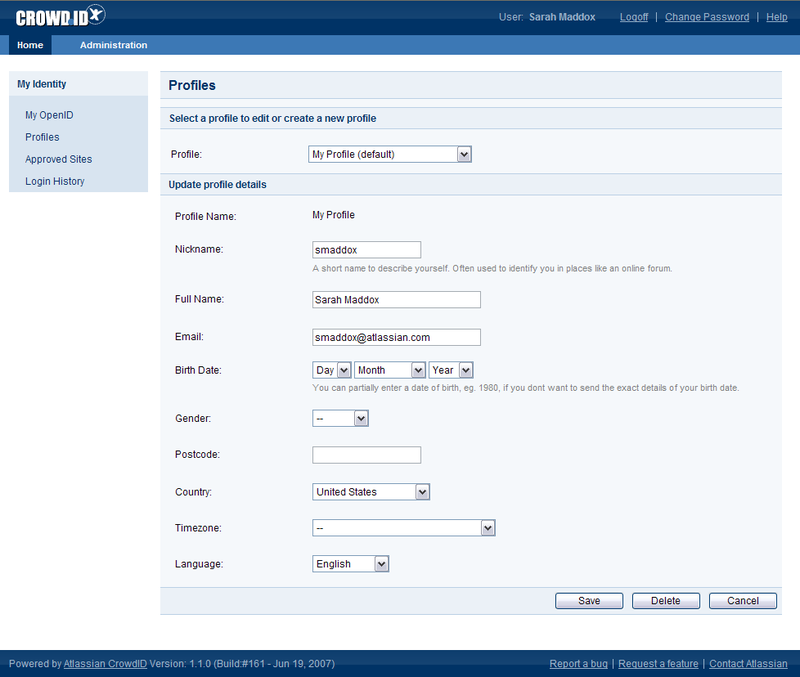 Select the required profile from the 'Profile' dropdown list, if you have more than one profile. Update the profile details then click the 'Save' button. 'Profile updated' message is displayed at the top of the page.